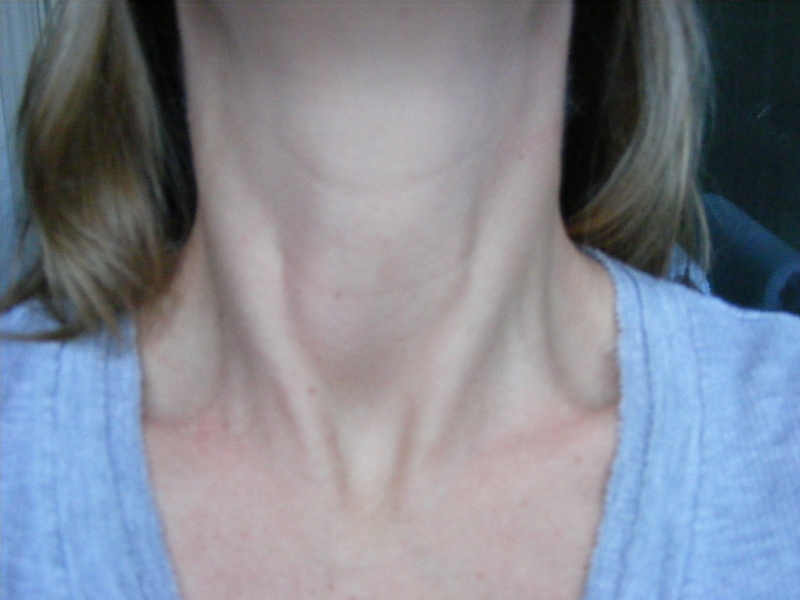 After dealing with thyroid disease for almost 9 years, I finally, for the first time, can definitively identify the symptoms that are coming from being hyperthyroid. 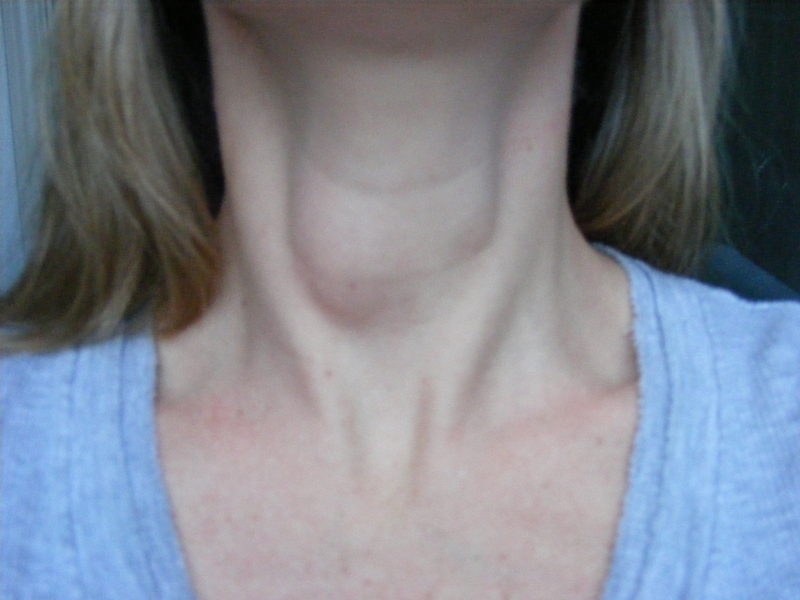 When they found the goiters on my thyroid and diagnosed me with Graves Disease, I didn’t know my very overactive thyroid was doing anything to my body. Unlike these stories you hear (like Dr. Amy Myers‘s), I was not telling an unbelieving doctor that there was something wrong with me. Quite the opposite. I had multiple doctors see my test results and look at me, perplexed: “You haven’t been shaking, anxious, losing weight? Have you been losing hair or had temperature problems?” Nope, nope, nope. 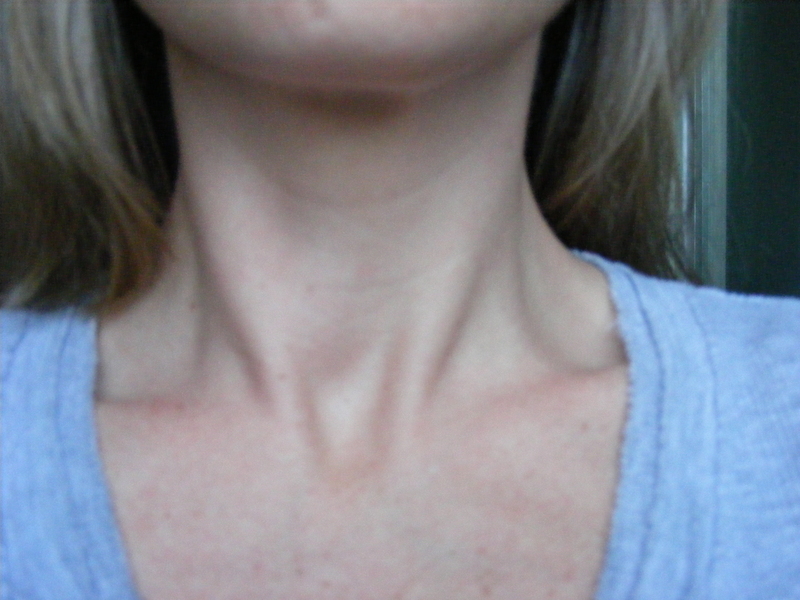 I had been hyperthyroid for so long that I just thought of myself as someone who had thin hair and could eat a lot. Everything else I chalked up to my high-stress job: I was “type A”, I didn’t sleep well because I had a lot on my mind. I wasn’t anxious, I was BUSY. Give me the radioactive iodine already and let me get back to work! A few weeks ago, I started getting very stressed out about my upcoming trip to California. So much to plan, rentals to find, plane tickets to buy, packing lists to make, food to prepare and freeze, prescriptions to fill. And for the doctor I’ll be seeing, I have to write my history, years of tests to sort, scan and email, release of records forms to ten different clinics… Of course I was feeling overwhelmed–especially with finding places to stay since every day that I didn’t make a decision, more options would disappear. My sleep had (has) gone to hell, I’m waking up with a sore jaw from grinding and my teeth feel unstable. I keep telling my husband, “There’s too much to do. I can’t breath, my heart is racing, I feel like I’m going to have a stress-heart attack.” I lie down to rest and my mind … my god, it just races and my body feels full of electricity. I give up, come downstairs and speed talk at my husband. The other night he asked me, “How do you have so much energy right now, you didn’t sleep at all?” And I said, “It’s not energy, it’s adrenaline, it’s stress. Once the trip is sorted, this will stop.” That was my explanation. I lost a little bit of weight and thought it was because I cut back on eating so many nuts. But I’m eating more in general: one minute I’m complaining about how full and uncomfortable I am and, five minutes later, I’m back in the kitchen looking for snacks. I said to my friend, “I’m stress-eating.” That was my excuse. I said to my Mom, “My hair has started to fall out again and it never even grew back from before.” In my mind, I was blaming the hair loss on weight loss, even though I’m only down a few pounds. That makes no sense! Such a small amount of weight loss hasn’t caused hair loss, your thyroid has caused both, you myopic fool. A week or two before I started to notice all of this, I had increased my thyroid medication from 100ug to 125ug a day. I’ve changed my dose so many times over the years, I don’t give it a second thought. I certainly don’t monitor my body’s reactions because I am an expert at ignoring the signs, even when they’re not subtle. Just like when I was a workaholic and feeling these same physical symptoms, but thought they were just from job pressure. When the penny dropped (I was recently told that Americans don’t know that idiom — it means you put two and two together or the light bulb went off), that all of it is overactive thyroid, I was so excited, so soothed. And it was suddenly so very obvious. This is textbook. I’m not an anxious person, I never have been. My neuroses are canted more towards rumination and second-guessing. It’s a fine line, but this tight, breathless, buzzing, heart-hammering feeling in my chest is not normal and is awful. Such a sad thing to realise that, even after all this time, with my body yelling its head off, I blindly make excuses. I could be standing here, cold and jittery, with a handful of hair in one hand and my third sandwich in the other, saying, “Gosh, this trip planning is stressful.” It reminds me of that scene in The Man With Two Brains when he’s looking at the portrait of his dead wife and asks her to give him a sign if his new girlfriend is bad news. After the ghost turns the room upside down, Steve Martin says, “Just any kind of sign. I’ll keep on the lookout for it. Meanwhile, I’ll just put you in the closet.” I’ve been putting my body in the closet. I’m so happy to finally know without a doubt exactly what my hyperthyroid symptoms feel like and even happier to know I can fix it. I have had an itch under my jaw, deep in the tissue of my neck for years. In 2009, I decided to mention it to a doctor one day and, although she didn’t feel anything abnormal in the area of the itch, she did casually say, “You do have a lump on your thyroid, though.” I had a thyroid nuclear test done and a radioactive iodine uptake test which showed two toxic multinodular goiters.”Toxic”, meaning thyroid hormone was being produced at an increased rate, which is why my thyroid stimulating hormone (TSH) tested so low. “Multinodular” because it was a late-stage goiter, meaning it had been around for a while and had a chance to grow and become lumpy. In my case, I had been hyperthyroid for at least 7 years ~ my first abnormal TSH result was in 2002, but my doctors never pursued it and I didn’t know enough to insist. This was my first experience with specialists. I had only ever dealt with general practitioners and emergency room doctors. The research doctors that diagnosed me were bizarre. They came into the room and peered at me like I was a specimen, their faces frozen into pensive seriousness. I started cracking jokes to break the tension, but they didn’t respond in kind. They asked me questions with long quiet pauses in between, during which they would look at each other and mumble and nod: Do you have flushing? Are you intolerant to heat? Do you shake? Stick out your tongue. Hold out your hand. Have you experienced any anxiety symptoms? I finally stopped them and asked what they had found ~ they had told me nothing! Do I have cancer? No. Do I need surgery? No. Okay, now you can ask me more questions. Interestingly, I never felt like the symptoms abated. The flushing and hot flashes (my most visible symptoms, which I chalked up to oddly increasing self-consciousness) and the anxiety (which I blamed on my job) ebbed a little, but not much. And, of course, this was undoubtedly part of the priming of my body for ME. Hyperthyroidism and my anaphylactic episodes started about the same time. It was the beginning of the end. Below are the photos and email that I sent to friends and family back then, hoping that it might open someone’s eyes to thyroid problems or make them listen a little bit more to their bodies. The fact that I thought I was having “devastating” and “debilitating” symptoms then strikes me as funny now… and sad. What was happening to my body because of my thyroid problems was NOTHING compared to what is happening to my body with M.E. They’re not even on the same planet … in the same universe. Can’t I go back to my old serious health problems? So, I guess I’m hoping this email influences everyone to pay closer attention to their bodies. Look closer: know every line and lump so you’ll recognise changes. Listen closer: if your body is constantly telling you it’s way too hot or way too cold or way too tired or way too hungry, don’t ignore it. Don’t wait for a doctor to find out what’s wrong with you ~ question everything that feels wrong. It turns out I wasn’t overheated & flushing because I’d become suddenly self-conscious. It turns out I didn’t just “get lucky” with an amazing metabolism. I wasn’t having floods of anxiety that caused my heart to race & skip beats because my job was stressful. I wasn’t debilitatingly exhausted because I worked too much & didn’t sleep enough. Well, at least not entirely. It’s still going to be a long road ~ my doctors say we could be tweaking my medication for years. I still vacillate between feeling ok and feeling dizzy and wasted… I eat about half what I used to… I’ll have to take hormones forever…. But, it’s not out of the question to go to a movie after a day’s work and I don’t spend my weekends crumpled in a ball, sobbing, asking what’s wrong with me while my husband wonders what to say…. I’m angry that I spent so long feeling that way and just explaining it away. I hope this inspires everyone to take a minute to think about your body and your quality of life. It’s all too short! Take care of yourselves!